My teaching is Mahaprabhuji’s teaching, the teachings of the Vedas and the Upanishads. My aim is not only to make you stay healthy and beautiful through yoga, the disease from which I would like to cure you is the disease of rebirth and death. The operation that I want to perform on you is the one that removes all karma. I would like to be your lawyer before the highest Law. My aim and my wish for you is that at the end of your lives you do not remain empty-handed, but that you carry in yourselves the Knowledge and the light of Reality. To promote and encourage tolerance and understanding among all nations, cultures and religions and above all, peace in the world, Swamiji is initiating and organizing multi-religious prayers for world peace as part of his World Peace Tour. 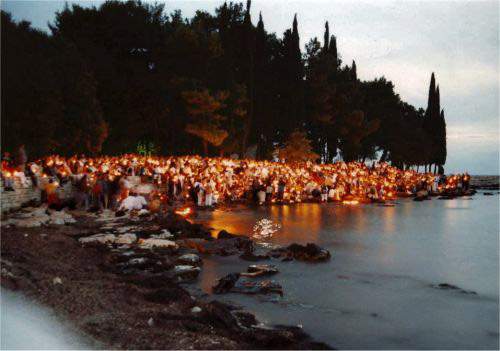 On 10th April, 1998, Paramhans Swami Maheshwaranandaji was inaugurated by the World Religious Parliament as "Sarva­bhaum Sanatan Dharma Jagadguru". On 14th April, 1998, the holiest day to dip into the river Ganga, Paramhans Swami Maheshwar­anandaji was coronated as Mahamandaleshwar. 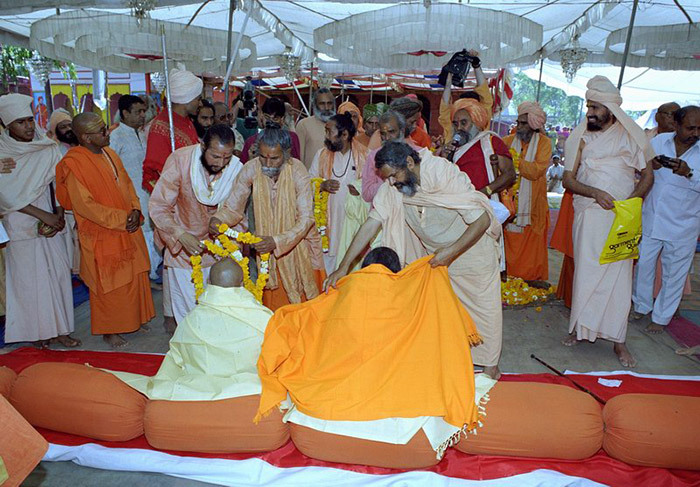 With the chanting of Vedic mantras, Swamiji performed puja, following the directions of the pandits.